FREE SPEECH 33: Does America Have a Problem with Censorship? Indeed we do, explains Professor Patricia Williams of Columbia University. But censorship becomes a problem first and foremost when the power to silence, suppress and threaten free expression is exercised by the state. When we look at current debates about censorship from this angle, things don’t get easy, but they definitely get interesting. Professor Williams is the James L. Dohr Professor of Law at Columbia Law School, and has published widely in the areas of race, gender, and law, and on other issues of legal theory and legal writing. 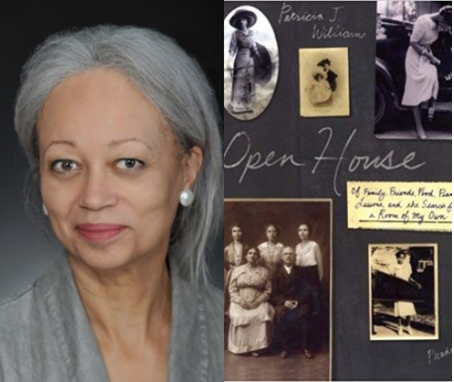 Her books include The Alchemy of Race and Rights: Diary of a Law Professor; The Rooster's Egg; and Seeing a ColorBlind Future: The Paradox of Race, and Open House: Of Family, Friends, Food, Piano Lessons and the Search for a Room of My Own. Williams also writes a regular column on politics, society and culture for The Nation.